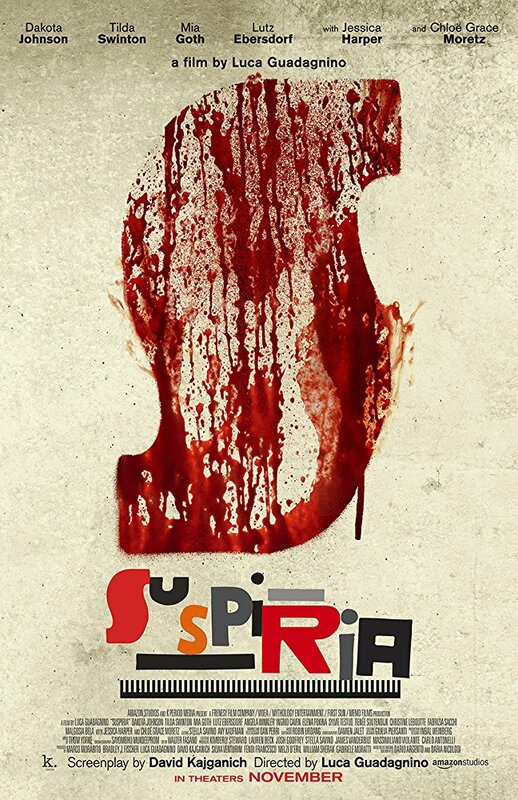 �Suspiria (2018)� is one of those movies that you initially thought were �okay�, but hits you so damn hard when reflecting. I wouldn�t even consider it a remake, because in terms of style and execution there�s a massive difference. After eavesdropping to a mix audience, which itself speaks volumes for what type of movie this is. I was slightly underwhelmed at first, if I have to be honest. I really didn�t know what to think and if I enjoyed it or not. After letting the madness settle in, it�s growing on me. The filmography of Luca Guadagnino is interesting to say the least. How do you go from a gay indie flick about a teenager exploring his sexuality in �Call Me By Your Name�, to �THIS�. Still, Luca made a wise decision of not duplicating the original and instead going for his vision. His visual flare is present and approves certain areas from 1977 version. The deaths are more brutal and horrific to watch. There�s plenty of scenes that got under my skin and some of it wasn�t anything graphic. Plus the atmospheric score that shook up the room, literally. I�ve only seen two films from Luca Guadagnino, but he�s a director to look at for. This guy directed one hell of a finale. The cinematography is striking and contains old school zoom in - which adds to the tense tone. Also the sound work is absolutely fantastic and detailed with everything. Sharp objects, movement in dance, bone cracks, etc. I'm thrilled to see Dakota Johnson in something that isn't �50 Shades�. She�s a good dancer as well. Tilda Swinton is great as always and insane she�s playing three different roles in the film. One being Madame Blanc, Helena Markos, Dr. Josef Klemperer (the old man). Originally credited as Lutz Ebersdorf, there was rumors since filming started that it�s Swinton in disguise, which I already guessed from seeing leaked images on set. Something about it I knew didn�t look right. It�s similar to �The Grand Budapest Hotel�, just more secretive. Most of the time it worked and she nailed down the �hard to reach� movement for any old person. Anytime there�s a far away shot, you wouldn't� guess it was her. However, the character mini-subplot wasn't that interesting and dragged the pacing down, in my opinion. Whenever Klemperer interacts with other characters in therapy sessions or meet ups, it wasn�t too bad. Some of the make-up was good when used effectively and isn�t showy. The other half looked pretty bad and painfully noticeable. The visual effects are really awful and took away the insanity, because of how unfinished it was. I mean, decent practical effect�s would�ve been better. Despite my issues and still having mix feelings about it - the movie really dose haunt your thoughts long after it�s over. Almost like a spell. Check it out if this is your type of movie, but not for everyone.